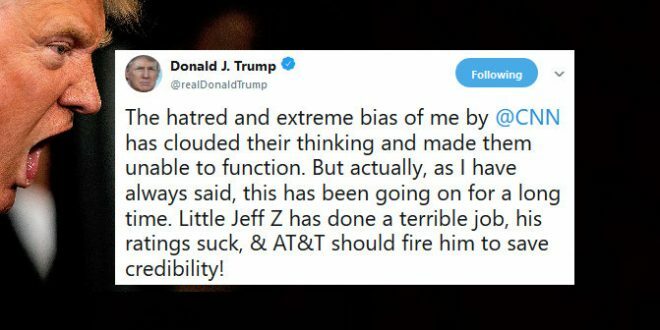 Trump Demands Firing Of CNN Head "Little Jeff Z" - Joe.My.God. President Donald Trump has started his day on social media by attacking two cable news outlets known for their consistent critical coverage of the White House. Trump tweets talking trash on negative coverage has become standard operating procedure under this administration, but tweets discussing (even suggesting!) the firing of presidents of CNN and MSNBC is a new bar that Trump had to surpass.